Minion on the Loose in Universal Orlando! 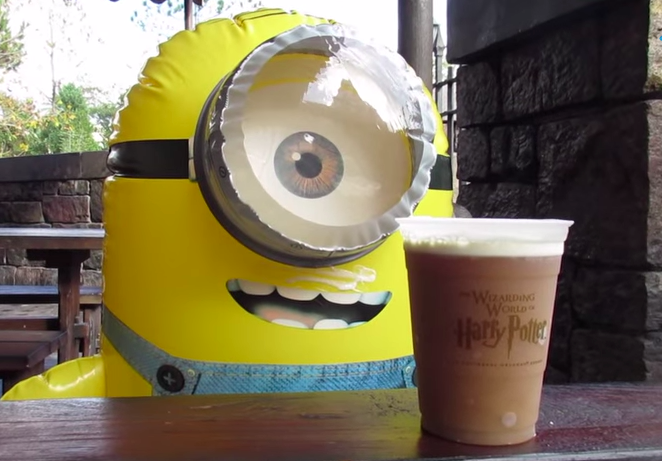 Minions are on the loose at Universal Orlando Resort! Yes, our ten year old had the brilliant idea of bringing a remote control Minion to Universal Orlando to see the reaction in his “home environment.” The video of this experiment is priceless! The Minion interacted with some of his own kind at the Minion ride. Rode some rides, checked out Islands of Adventure, and even strolled around CityWalk a bit! He even got a Butterbeer! Pretty sure he’s in love with the Butterbeer!